Ananka's Diary: So What's For Dinner? What's wrong with a little cat soup? (Kidding! No nasty emails, cat fanciers!) In the Guangdong province of China, cats have long been the main ingredient in a famous soup. But protesters claim that many of the cats are actually stolen house pets! According to this fascinating New York Times article, the British are trying to save the endangered red squirrel by encouraging the public to eat its competition--the grey squirrels which have invaded the island. Squirrel pate, anyone? Ever wondered how manufacturers produce candy and sodas in lovely shades of red, orange, pink and purple? They use bugs, of course! Many food dyes are created from the crushed carcasses of cochineal bugs. So why weren't you told about this? Well until recently, the government didn't make companies list this "special" ingredient. Now, thank goodness, those days may be over. More here. And last, but not least. What do broccoli and soylent green have in common? Two food bloggers took a good look at a package of Cascadian Farm frozen broccoli and were horrified to make the following discovery . . . Okay that broccoli thing is freaky. LOL BUT IT'S FUNNY TOO!! Thankfully, I don't eat frozen broccoli with faces on them. I have to say, cat soup... disgusting! Even as a joke. :( Faces on my broccoli? Mmm! Tasty! That broccoli face seems very malevolent. Look at its tiny evil grin...jealous, perhaps? I guess that's what we call green with envy? photoshop? There's almost no way that's real! Bug die, like the fabric Betty found in the Shadow City. And Kitty, I was thinking squirrel malts too! The brain is programmed to find faces. 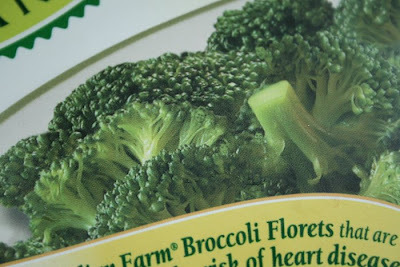 Those faces in the broccoli remind me of leprechauns. Being a cat lover, I personally can't stand the thought of cats in soup. Apparently, people in Korea sell cat meat and they are regarded as bad luck. Some dedicated people there are trying to save the cats, though! Don't they use cochineal bugs in burgers, too? I don't really agree with the whole "eeew...cat soup!" thing. Some people must be like "eeew...Americans eat cows!" So I think something like this is pretty relative. Although I do understand it. I mean, I once cried in public because of "bunny sausage," which was actually really good. A friend once told me (from experience, no less) that squirrels taste like chicken. Any Britons out there who can confirm that? omg!!!!!!!!!!! thats why we hate brockli! 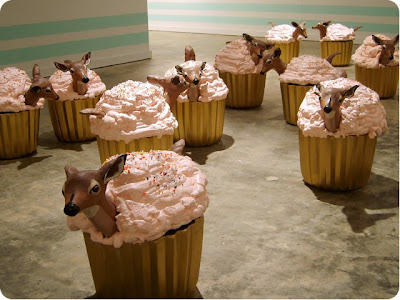 there little heads!!!!!!!!!!!!!!!!!!!!! Hazel: i never want to eat bunny sausage no matter how good it is. i didn't see the faces at first. now i do though. Oh come on! Cat soup? Did they run out of food or something? Isn't there anything better to eat? 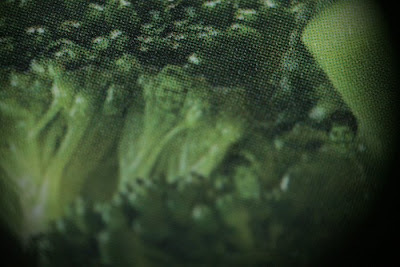 That broccoli thing is so creepy...Are you sure they didn't photo shop that? Looking for a Good Way to Start a Book?